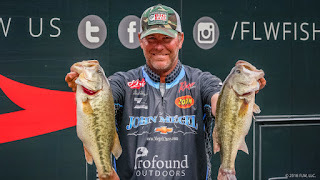 IBASSIN: 2018 FLW Tour Kentucky Lake Day 1: Randy Haynes Smashed 26-03lbs! 2018 FLW Tour Kentucky Lake Day 1: Randy Haynes Smashed 26-03lbs! Ledge fishing is not dead at Kentucky!